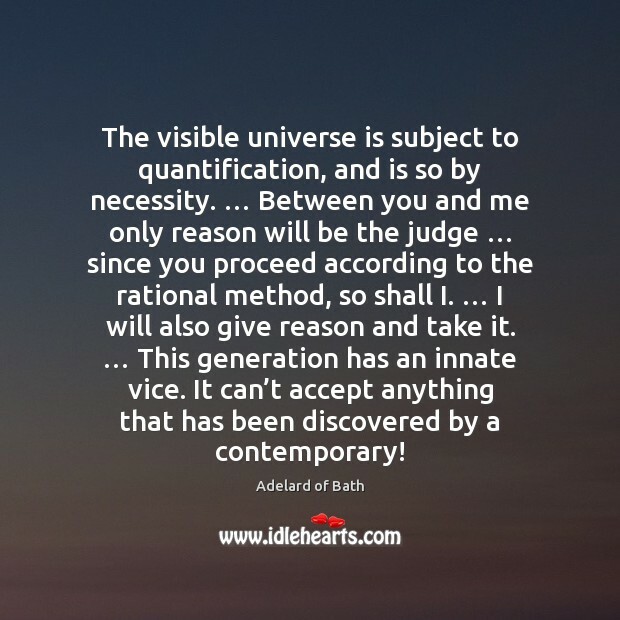 Enjoy the best inspirational, motivational, positive, funny and famous quotes by Adelard of Bath. Use words and picture quotations to push forward and inspire you keep going in life! The visible universe is subject to quantification, and is so by necessity. … Between you and me only reason will be the judge … since you proceed according to the rational method, so shall I. … I will also give reason and take it. … This generation has an innate vice. It can’t accept anything that has been discovered by a contemporary! Although man is not armed by nature nor is naturally swiftest in flight, yet he has something better by far—reason. For by the possession of this function he exceeds the beasts to such a degree that he subdues. 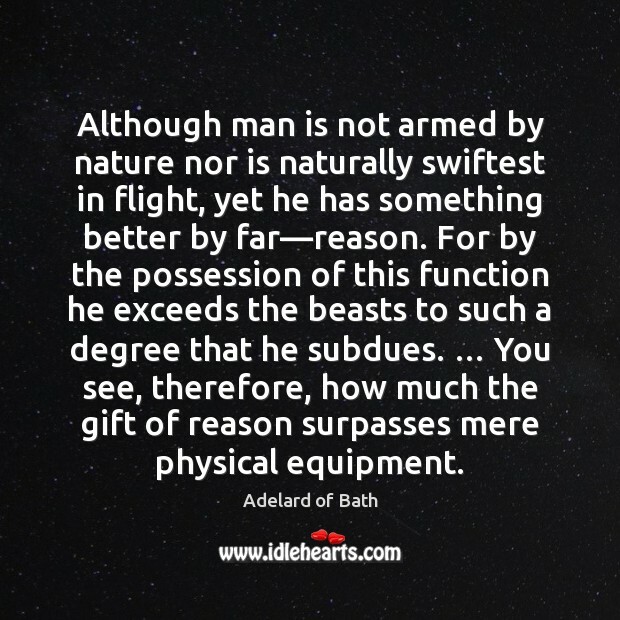 … You see, therefore, how much the gift of reason surpasses mere physical equipment. They know how to think. 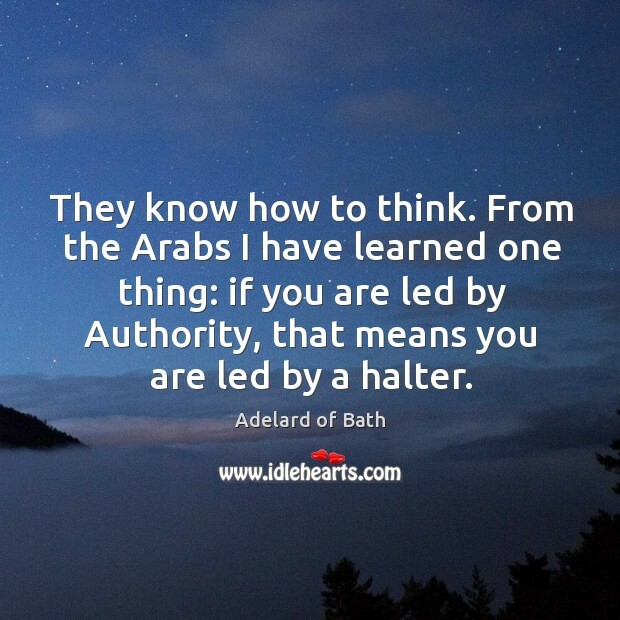 From the Arabs I have learned one thing: if you are led by Authority, that means you are led by a halter.